This black vinyl 45 rpm 12” single features the first appearance of the full length demo of ‘Let’s Dance’, previously released in an edited form through digital download and streaming services for David’s birthday on 8th January this year. The full length version clocks in at 7.34, compared the edit which is 5.19 in length. Both versions were mixed by Nile Rodgers (original co-producer of the demo with David) in December of last year. The demo is backed by the live version of ‘Let’s Dance’, which was recorded live at Pacific National Exhibition Coliseum in Vancouver on 12th September 1983 and mixed by Bob Clearmountain. This version can be seen on the Serious Moonlight concert film, and was also previously available on the reverse of the Australian David Bowie Is exhibition as an exclusive yellow vinyl 7” single. 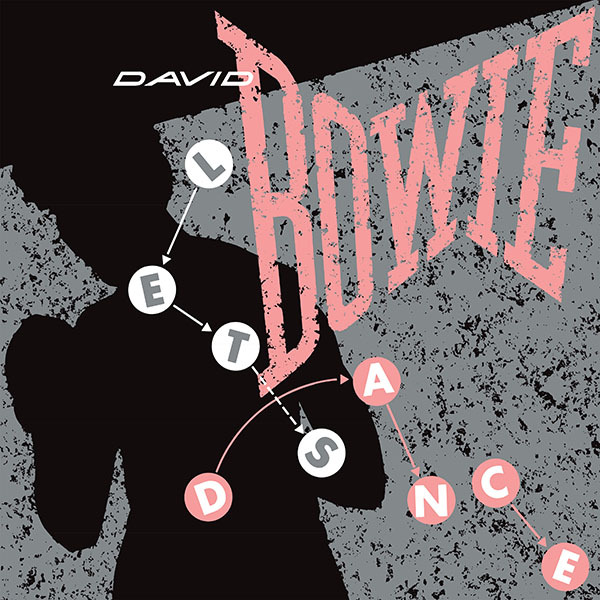 The sleeve of the 12” single is a colour variation of the original Let’s Dance single cover.